During states of emergency, normal rules and rights are suspended, and force can often prevail. In these precarious intervals, when the human potential for violence can be released and rehearsed, images may also emerge. 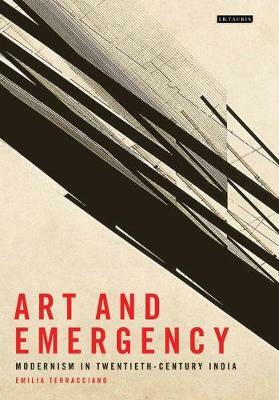 This book asks: what happens to art during a state of emergency? Investigating the uneasy relationship between aesthetics and political history, Emilia Terracciano traces a genealogy of modernism in colonial and postcolonial India; she explores catastrophic turning points in the history of twentieth-century India, via the art works which emerged from them. Art and Emergency reveals how the suspended, diagonal, fugitive lines of Nasreen Mohamedi's abstract compositions echo Partition's traumatic legacy; how the theatrical choreographies of Sunil Janah's photographs document desperate famine; and how Gaganendranath Tagore's lithographs respond to the wake of massacre. Making an innovative, important intervention into current debates on visual culture in South Asia, this book also furthers our understanding of the history of modernism.